We are one of the well-known manufacturers and suppliers of Concrete Mixer. The offered concrete mixer is widely used at the construction sites, for mixing concrete. Our supplied concrete mixer is made from superior grade iron alloy, to ensure longer serviceability and durability. The offered concrete mixer is easy to operate and clean. 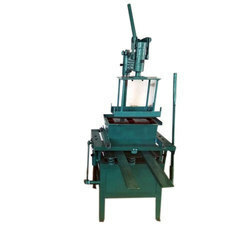 We are one of the leading manufacturer and supplier of a sturdy constructed range of Concrete Block Machine. It is manufactured from premium quality raw material with a capacity to hold around 3000 - 3500 blocks / per shift. Powered with a standard make motor of 5 H.P. it is capable of carrying up to 30 tons of weight at a time. Our clients can avail this machine at industry leading prices. 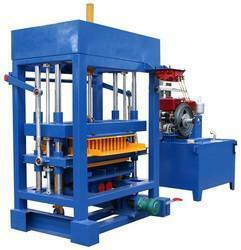 We are the manufacturer of concrete block making machine from the last 25 years. We have 3 types of machine available. The most important feature of our machines is sturdy design due to which it requires negligible maintainence cost. Mixer, cutting device, dispensers, molds, control units, etc.